I am a baby boomer, hippie chick who was bitten by the travel bug decades ago and I have never recovered. 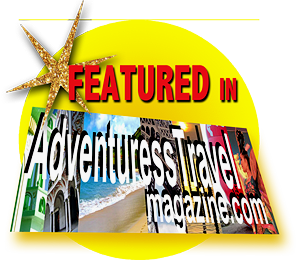 I have adventured through over 30 countries and 4 continents and can often be found on a warm island beach in places like Tahiti, The Cook Islands, and Hawaii. On this blog, I’ll be joyfully sharing my view. It will include helpful tips and my experiences that, hopefully, might inspire you to live out some of your dreams. What a terrific idea, Joeann. I would LOVE to see you do an article on home sweet home – “Tucson”. You also might want to let readers know that you are not commenting only on places that pay you to do so. There are A LOT of travel blogs out there that solicit spas, restaurants, etc. to be included and it takes away from the authenticity. I look forward to seeing your monthly experiences and tips. Thanks for this suggestion. I think you are absolutely right..I’ll work on some good local posts!